If they are both true, then what does that mean? If both statements are oversimplifications and exaggerations, then what does that mean? Does it not illustrate that people generally fall into one of two categories when it comes to their view of these problems? They either see the hypocrisy and give up or get out of the group, or they try and look for the good and not judge the whole group based on the flaws found with certain individuals inside of it. This can then be applied to Catholics, Jehovah’s Witnesses, Baptists, or any other of the denominations of Christendom. It is human nature, and this is why both statements could be true for a particular congregation. How many brothers and sisters attend the meetings and go through the motions of field service because of inertia, peer pressure, for social advantage, and fear of reprisals from the elders? How many Witnesses carry out these works, such as counting their time at a snail-like pace and running errands in between long drives to a remote return visit out of sincere desire to do so? How many do it for other reasons such as status or a feeling of guilty obligation? (2 Timothy 3:5) Is it easier to stay within the movement or structure, or to get out? How hard is it to try and enact change? At what point does our conscience kick in and compel us to do what we know is right no matter the cost? So Luther then felt compelled to follow his Bible-trained conscience, and to drop the religious pride. He knew what he had to do, as difficult as it was. Many former Witnesses have faced this “spiritual firing squad” and have been executed in the eyes of the elders and their friends and families. But this has not changed their status with our Heavenly Father and his appointed judge, our Lord and Savior Christ Jesus! They are the ones we should be seeking to please. No man-made label or status can affect their love and their righteous judgment. Yet this is exactly what C. Russell, J. Rutherford, and then F. Franz did with the date setting debacles of 1914, 1915, 1918, 1925, 1975, et al. They focused scripture through the light of their own personal interpretations and wrote out what they thought the near future would then hold. Since the dawn of time though there has always been some that are skeptical of these sorts of predictions and presumptions, and are willing to question them. Martin Luther was one. He boldy spoke out against the Catholic church and nearly became yet another martyr. He told this human court (See 1 Corinthians 4:3-5, HCSB) that were judging him that he was bound by the Scriptures, not to any man-made creed. The Bible was his ultimate guide, not the decrees of the church at that time. William Tyndale was another man that did the same. These are solid admonitions from God’s word to put our trust in Him only, and not in the words and standards of men. When writing, if a human writer uses the expressions, “apparently then the Bible means…”, “evidently…”, “it seems logical to conclude…” then it means that he is not sure and is giving an educated opinion or well-researched guess. If then he is not completely sure, why would he seek to expel anyone that did not agree with him when he admits he is not sure to begin with? Putting this point to the test then, if a brother or sister was to humbly state that they did not understand (and therefore could not fully agree with) the Watchtower writer’s interpretation of a scriptural point or doctrine found in an issue of a magazine, what would be the result? Would the Christian’s sincere difference of belief and viewpoint be met with loving kindness and tolerance, or with suspicion, and intimation of disloyalty to God and a rebellious spirit? If it led to a judicial committee of elders “helping” the person to see the WT Society’s reasoning, and then to an interrogating of the person, setting up a human court, and then subsequently expelling them due to that sole reason, is that in line with the above quoted texts? There are unfortunately many examples. One is about a sister, Grace Gough, that was disfellowshipped not for adultery or drunkenness or theft, but for simply stating to the brothers that she did not believe that 1914 was the end of the gentile times. (You are encouraged to listen to her testimony or go to her website.) A judicial committee was formed, and the three elders on it found her guilty and she was expelled from the congregation of Jehovah’s Witnesses. She has since gone on to find Christian freedom and live a happy productive life in serving God. So is it right to exert what we think is correct from the scriptures, and have it written down in a magazine, and then adversely judge a brother because they do not believe every single word of it? Is that not treating these written, man-made magazines as the “Holy Bible”? We have all heard the saying, “don’t believe everything you read”. Just due to the fact that it is printed millions of times by a vanity press does not make it so. This does not make an idea and argument any stronger than if one person wrote a differing idea down on a cocktail napkin using a ball point pen. *** yb78 p. 140 Spain *** Through the press and from the pulpit the people were warned not to read The Watch Tower. *** w56 6/15 p. 365 Waging the Right Warfare *** This is not surprising, since many are instructed not to read publications concerning the Bible unless they are first approved by the church. So the Watchtower rightly points out that when other religions tell their members what not to read it is a bad thing, especially if they are being told not to read the Watchtower magazine. When other religions refer to the Watchtower publications as apostate or bad material though, then offense is taken. Can you see two different sets of scales here, a double set of standards? Yes, others should be allowed to freely and openly examine their faith but Jehovah’s Witnesses (like many of us that visit JWStruggle) must sneak around under the cover of darkness and anonymity to even discuss issues involved in our religion. One would think that after awhile some Witnesses would recognize and ask themselves the question, “Why is it that I as a grown person can’t discuss these issues openly among my fellow Brothers and Sisters?” This red flag comes up more often than most realize, but it is generally squelched in short order and pushed out of the mind and rejected due to the mental conditioning and rigid uniformity that is foisted upon the Witness mind at nearly every meeting and in virtually every issue of the magazines. Nice article! It makes me wish I could be like Martin Luther and stand up (publicly) for the truth. I hate this undercover worship thing. It is not my pride at stake though as I have left that behind but my love for my wife and friends. By the way I am not choosing them over Jesus since I can worship under the cover of darkness and no one can stop me from that. This is true freedom. If at least my wife would wake up though I would be long gone. I hope any new visitors here will take this article to heart and see the double standards that the so called “chosen one” has put into place. It was these double standards that Jesus hated when he stood up to the religious leaders in the first century. They had one standard for themselves and another for others to follow. Good article! On our web site http://jwinfoline.com we have many testimonies of those who have left Jehovah’s Witnesses and their experiences both coming out of the Watchtower and coming to faith in Jesus Christ as their personal Savior. Good article!On our web site http://jwinfoline.com we have many testimonies of those who have left Jehovah’s Witnesses and their experiences both coming out of the Watchtower and coming to faith in Jesus Christ as their personal Savior. Hello Cheryl. Do those who contribute to your website believe in the Trinity? Do those that contribute to your website believe in the Trinity? Do you? Nice article. While there are many doctrinal points which I believe the JWs have wrong, the org. has the right to express it’s opinion. If the org. would simply allow divergent doctrinal opinions among JWs and admit that it has no special knowledge it would be a huge step forward to reconciliation with many ex-JWs. andrew: Nice article. While there are many doctrinal points which I believe the JWs have wrong, the org. has the right to express it’s opinion. If the org. would simply allow divergent doctrinal opinions among JWs and admit that it has no special knowledge it would be a huge step forward to reconciliation with many ex-JWs. Yes, I agree! I would be happy to worship there if what you said ever happened. Don’t think it will though… I remember hearing, “Once men have power, they don’t willingly give it up.” It’s a universal human flaw. I will state this fact, in support of JJ’s comments. Like Martin Luther of years ago, along with Bible lovers like Wycliffe, Isaac Newton, and many ministers of faith since the Reformation, I feel and will die KNOWING…the Bible is God’s Word of Truth. WT has strayed from the NT teachings of Christ, and Oh ! how they have strayed! Others, too, will attempt to argue, that there is no true doctrine available from the Bible….but LOVE is now the ‘New Gospel’, and the Bible, and Christ’s message is too fuzzy, erring, undependable to hope upon, etc. This is anti-Christ in its effect, and motives are now being questioned by myself and others as to why some would attempt to denigrate the word of God to “Fairy Tale” status. I have had viruses attack and kill my two PC’S and cannot even reply on forum….I have been blocked out! So, I can be read on the Bogger; Anointed Eagles Unite. I invite all who BELIEVE Christ has all the answers to their truth-hungry questions in his teaching…to come there and associate with a fellow Christian believer. I can’t for the life of me, comment on forum, I try, but the type will not transfer and someone or somebody has introduced some actions to ruin my PC’s. I hope you will come. Please leave anti-Christ doctrines off the site, they are not welcome there. Jesus Christ is the way, the truth and the life. Can I get a witness? This is the focus of this blog, Anointed Eagles Unite… to teach the truth about God, his son, and their truthful words, and without the doubts, and criticism toward our Lord’s teachings. Brother JJ and others have championed Christ’s words as truth, and I will do so, as I said,….until I die. I appreciate the point made that we are all subject to imperfection, and it is admittedly to be found in any and all religious systems. This being the case, it is important to understand that this of itself is not the major problem. We are all imperfect and thus, to expect perfection of individuals or any collective human group or organization would be unfair and unrealistic. “The real problem comes when men insist that their reasonings and interpretations should be taken as divinely “revealed truths,” and condemn those who, in the free exercise of their personal judgment, find them otherwise. I have wished many times the “org” would change their tyranny over the flock, they have set themselves up to be equal with Christ Jesus….for that reason alone is way out of line with scripture…..they preach a different gospel. You made many good points in your article for anyone to consider who still attends….I still have to hide my thoughts and its been going on a year and a half since I last handed in feild service time….I’m working on getting my children out…I taught them to be “black and white” when it came to the “truth”. I have much regrett. JOJO, This is so true and I have also felt this way. The thought of living in “The Peoples Republic of the WTS” is just such an oppressive thought. They have so much in common with N. Korea and similar regimes its not even funny. I totally agree with you and JJ. I read his article this morning but yesterday I had two elders coming to my house and our conversation was very much along the same lines as in this article and your comment. I also told them about the Malawi-Mexico thing and they said, yes, it is possible that the GB committed mistakes in the past but didn’t Peter and the others do the same in the first century? Still, they were definitely under Jesus’s guidance. They simply cannot see the difference between making some mistake owing to being human and taking the responsibility of giving such advice that eventually resulted in the death of thousands at the least. And this is only one thing as we know. Funny that lots of scriptures can be interpreted fitting contrasting situations, my elders quoted the scripture about everything secret coming out to the light, and I said, yes, the things the Society did came out to the light by RF’s book, but they, of course, did not mean it that way but that they got to know about how I feel about them these days (which was quite plain, by the way, because I told them in an email). I love this site, all the articles and the comments so thanks you. Take care all of you and God bless. Come to Jehovahs organisation fro salvation in 20o2 at the district Assembly was the most sickening thing i have ever heard. Something inside me said NO WAY! Its Jesus he is our salvation. He is our Lord and saviour. Its now less of us and more of him. I loved everyone’s comments; so many excellent thoughts. For me I have already made my choice; other than visiting from time to time to see the friends I am happy to be free. The quote from Ray Franz is so very on target! But rejoice my brothers, Jesus is Lord of Lords and King of Kings, he and our heavenly Father will never let any of his children, sons and daughters down. I personally actually am grateful to the “society” for the education I have received, I do not regret the time and effort spent, yes some of it may have been wasted as 34 years is a long time. But I also realize that I would have never really been drawn to the Bible nor Christ by the churches of Christendom I can appreciate the good lessons as well as the negative lessons the “society” teaches. JJ did a fine job of exposing some of these in this article; keep up the fine work. So for me personally the training was good. Now I have simply graduated from the TMS of the “society” and moved on. jajaja; But keep in mind my brothers and sisters this is the same brother who looks back upon my experiences in Viet-nam as being educational as well. Of course we cannot share these thoughts freely with “the friends” at the hall but in time they will all see the truth. Jesus will not lose any of his sheep, he is the fine Sheppard. This is an exceptionally good presentation JJ ! Standing back now , at a distance , it really becomes obvious that there is an inordinant sense of pride that exists in the organization . From an objective view , super-imposing conscience on others , as the leaders do , is so detrimental to all who subject themselves to this problem . That’s the “down side” , but what we can hope for and pray for is that people will awaken from within the organization , and not turn away from Christ , but rather open their ears to his words . Abandoning the dogma and building a more meaningful closeness now , with our Father and his son whom he sent for us ; it’s the wise course . This takes courage , and such courage and trust is looked for by our Savior and Leader Yeshua . How much better is the simple life of following Christ closely , rather than following men who go beyond the things written ! May we keep all who are still captive to old Babylon in our prayers . Your brother in Christ . . . I must agree with you sir. If it had not been for that organisation i would never went to church as i had no respect for them even at the tender age of *years old. In many way it was a place to hide form the winds. Now Jesus is our place to hide. No more religion churches cults SDA and the likes of these man made programs. I agree with your comments. I have learned many skills from the TMS. We should pray for our Brothers and Sisters to awaken. Also, most that I know really do love each other and their Creator, why else would they put up with all the rest? A friend of mine passed along some interesting info from the latest ” Safeguard your Heart” District Convention. There was a talk entitled ” Do you have a balanced view of yourself?”. One of the major points was that God can use anyone or anything in whatever way he chooses to accomplish his will. He can use people, Governments, he even used a donkey once! So don’t think you are a big deal. Here is the direct quote that I find so ironic. ” JUST BECAUSE JEHOVAH HAS USED YOU…DOESN’T MEAN HE APPROVES OF YOU.” Think about that. Spike, I too have benefited from the skills and training through the Theocratic Ministry School. Much was taught to me of articulation, enuciation, voice projection and speaking with boldness and confidence. By preparing talks, I also honed my reading and writing skills beyond most of my “worldly” peers. These skills equipped me well for a successful secular life, and I still carry them with me. Upon reflection though, I find it lamentable that this training in public speaking and “reasoning” was embroidered and overlaid with simultaneous indoctrination which employed falicious reasonings and false logic. overcoming these can take a life-time, and I still carry these with me as well. In the final analysis, I’m not sure the benefits outweigh the damage done. It is also noteworthy that most of the scriptural knowledge we acquired through these meetings was a result of a catechistical approach and programmed, channeled thinking. The meetings were largely question and-answer sessions, with the questions already prepared by the organization and the answers set forth in the assigned publication. This did not encourage genuine mental effort or frank discussion but merely the repeating (even if in one’s own words) of the thinking of the headquarters organization. While we were trained in how to rebut specific topics such as hell-fire, trinity, immortality of the soul, with “proof texts.” I believe that few Witnesses would be well equipped to offer any kind of intelligent discussion on topics such as Salvation by faith – not owing to works based on Romans, or to expound at length on the apostolic letters. The training we received was only to about a 2nd or 3rd grade level theologically speaking. I believe that there is so much room for growth once we come away from that system. At least I think that has proved to be true in my own case. Brother Matt , I had some very good college-level training in literature prior to becoming one of “JWs” . And then while I was an elder I had recognized that the TMS guidebook truly was written on college-level , and it was amazing how that it was easy enough to understand for even a bright elementary school aged child ! It is a very effective guide , for both creative writing and public speaking . So I was then assigned as the TMS overseer , and I really enjoyed working out of this “little book” . On the 2nd consideration that you made in your comment , I have to agree with you there too . When it comes to the actual content of what is taught in a kingdom hall , half of it is pure gold ! The other half is kinda brown and smells really bad . The good stuff at the Hall is all from the actual Bible. The bad stuff, well forgive my negativity but just one life lost or ruined by this cult makes anything good about it a loss. To think that I have benefited which I have but someone else has died because of the refusal of blood when they may have otherwise lived longer and fuller, well it makes me sick! If it where in my power I would flush the entire mess down the drain! Jesus will flush it ALL down the drain!! Should we be “Loyal” to WT, and “Disloyal” to God and Christ? I don’t see an intelligent alternative, do you? This was an exceptionally logical and tactful article. Thank you for writing it. I also enjoyed reading all of the comments. Like most things, the organization has both good and bad points; but I think the bad ones outweigh the good ones. A California Court has just awarded $28 million to a WATCHTOWER sexual abuse victim (Candace Conti). I just learned of this last night. I have looked up the case #, and it is legitimate. I have e-mailed Cedars and he said it is very early in the development of the case. He is on top of the situation, and I am sure he will inform us of what is happening. Here is the link if you wish to confirm the information. But they kept visioning for you worthless and misleading pronouncements. 15 At you all those passing along on the road have clapped their hands. Looking at this case , the jury decision was on 6/13/12 . Restitution is for a total $7,000,000 , proportioned basically among the defendant , some in the congregation , and the WTS/GB . Now I see that today , the 15th , punitive damages were confirmed by jury from the WTS in the amt of $21,000,001 . That’s a lot of contributions . That’s a lot of hungry Brothers and Sisters and their children. The ” operation of error” driving men to value the printing of literature over the value of practicing true Christianity is becoming clear for all to see. Millions upon Millions of pieces of literature printed, an Empire built with all the legal considerations and agendas and memos, and built in ” safety nets” have proven our Creators wisdom again. I wonder when the corporate ” machine ” took on a life of its own? Think of the lives spent working to churn out magazines every month, and books upon books! None of them containing the truth of God’s words without the added philosophy of men. It is staggering to think of the sheer numbers involved, none of it authorized by Christ Jesus! The transgression from their abundance of words is clearly evident. Their own literature is their own worst enemy. I pray that our Heavenly Father’s name will be sanctified soon. The reproach brought upon him is horrible. The current situation shows that The WTBTS’s actions go way beyond humans just making mistakes. This is a pure lack of humility. Why are Elder’s told not to report a crime, or told not to influence Parents or victims to report a crime of abuse? The answer is that the Elder’s are coerced into protecting the WBTS, not the victims. Child abuse is horrible, even ” worldly” people with ” no scriptural hope of a resurrection” will report a crime of child abuse! Some of the most kind-hearted people are law enforcement officials working to protect children. What a great witness for these ” worldly ” ones on the broad road. I am disgusted at the comments of ” true Christians ” directed at Candice Conti. I know how much effort it take to confront someone who has hurt a child. For her to stand up was incredibly brave. She had to repeat herself over and over. All the while she is being made to feel like she is the criminal. Yes, we don not know the whole story yet. We do know the policies of the WTBTS. You reap what you sow, what a horrible witness. The way the WTBTS deals with this will reveal their heart condition. Sadly, I believe the following verses apply. However, there also came to be false prophets among the people, as there will also be false teachers among YOU. These very ones will quietly bring in destructive sects and will disown even the owner that bought them, bringing speedy destruction upon themselves. 2 Furthermore, many will follow their acts of loose conduct, and on account of these the way of the truth will be spoken of abusively. 3 Also, with covetousness they will exploit YOU with counterfeit words. But as for them, the judgment from of old is not moving slowly, and the destruction of them is not slumbering. your presentation was just beautiful. could tell Lots of prayer went into that article ,along with lots of scriptual research. I apologize if my above comment seems too harsh. I was felling very indignant over this whole situation. I know from speaking to local rank-and-file JW’s that they find this very upsetting. A local Elder was also very upset. My criticism is directed at the Leadership and legal/corporate mindset. The nitpicking details that are adhered to are astounding. While at the same time weightier matters are pushed aside. Consider Christ’s words. Matthew 23:23,24 “Woe to YOU, scribes and Pharisees, hypocrites! because YOU give the tenth of the mint and the dill and the cumin, but YOU have disregarded the weightier matters of the Law, namely, justice and mercy and faithfulness. These things it was binding to do, yet not to disregard the other things. 24 Blind guides, who strain out the gnat but gulp down the camel! We cannot, nor have a right to invalidate how you feel. These are not just feelings. 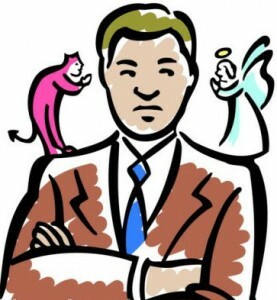 What you feel is a real righteous indignation towards a false prophet. “Reasoning from the scriptures” page 132 says. False Prophets. Definition: Individuals and organisations proclaiming messages that they attribute to SUPERHUMAN SOURCE, but do not originate with the true God and are not in harmony with his revealed will. This now is where they hang themselves.
. The blaming that Its pure speculation from the congregation its self. Deut. 18:18-20 They say, as Moses was raised a prophet then really indication from all they say about themselves prove they through the years think they are Moses in the 20th century. If they say this is false its a lie form the pits of the grave. I for one will never forget them saying at the international Assembly through the baptism talk to “COME! to Jehovahs Organisation for salvation” The ark of protection. ” No Watchtower! Jesus is the way the truth. The only way. Are they prophet to the nations to-day. (IN A SENCE THAT THEY PREACH THE KINGDOM)? Would we really want to be associated with a GOLDEN CALF!!! Because they represent a False prophet. Don’t feel bad about crying out. Don’t let weak ones intimidate you. You are crying out because your Lord Jesus Christ is calling you into his personal love. What a privilege. Remember what Jesus said himself in Matt 16:25 “For who ever will save his life shall loose it. But who ever shall loose it for my sake shall find it. Thank you Sister Ruth. I feel very encouraged. You are right, it is a blessing to be shown the truth by Christ Jesus. Persecution will come, but we will be sustained. Nothing will separate us from His love, that is a promise! I felt the need to add another thought or two on this thread, by the way, once again – excellent article JJ. Addressing Our brother Spike; I have to agree with sister Ruth, no need to apologize for your depth of feelings , yes righteous indignation! Now the court systems are beginning to act upon persons like Mr. Sandusky (coach in Pennsylvania) as well as the high ranking Catholic officials guilty of aiding the perpetrators throughout the years within their organization it suggests that the time is also coming for the exposing of the hierarchy of the WTBTS for their own errors. Do they really believe that because they use Jehovah’s name that they will be excused or dodge exposure and humiliation. My reflection is this: Jehovah’s word WILL prove true in all respects. He says NOT to put your trust in men. Jesus stated pointedly that this world lies under the power of Satan (which includes ALL religious organizations), some are better some worse but ALL are subject to his influence and manipulation. Our problem as faders, or ex JW’s is only that we “bought into the concept” of “the truth” as presented by the WTBTS. We are naturally disappointed, but in fairness; we have all learned many wonderful truths from our diligent study of the scriptures. For this we of course give primary praise and thanks to our loving heavenly Father and his appointed king, Jesus. As others have mentioned, we can give great thanks and appreciation for Christ and Jehovah drawing us to his light. The WTBTS likes to take the credit for instruction and giving “truth” but as other threads have shown they are simply using this to control persons, in time all honest hearts will be drawn away from false concepts and teachings; why can we be so confident regarding this? Because Jesus is the fine Sheppard and he will not lose any of his sheep. I am fully convinced and have complete faith that Christ will do exactly so. Brother M-007 , I am in agreement with what you say here . There are some questions that I have for you , and I ask that you email me at dansgarden@tymewyse.com so that we can talk some concerning this court case that is a precident in the state of CA . I am interested to know how you expect the case to work out , and there are a couple other questions that I have which you could help me in knowing the answers . If you will , please email me . I’m sorry I did not leave a real email address. See? I’ve become that paranoid. Hi Brother Damage. You are most welcome here. You see we are not haters of JWs! Like you I failed to see the true agape love that was meant to identify Christ’s true disciples, and I could see so much hypocrisy,in Jehovah’s supposed “cleansed” organisation. For years this disturbed me so much. Also what you say about “barriers between people and division of humanity”. This bothered me greatly too…the “us versus them” mentality that separates us from humanity, the humanity our heavenly Father and his son love so much. It’s so “anti-love”…and so joyless. Hope you add more comments here brother! i was raised as one of jehovahs witnesses for 48 years and i still cant stand how conditional their claim to love even their own brothers and sisters is. if your not doing so well spiritually they will not treat you as if your doing great spiritually,even within the your own family the same exists. is this part of the mind conditioning that this form of fake love exists? anyone have any thoughts? You and I together, Bill. Agape love is probably a myth anyway. And if the WTBTS is the best God can do, then I want my money back. Hey, anyone here think rejecters of God will be treated to this act reflecting perfect morality? Christian Tract – The Burning Hell: Thousands of degrees Hot and Not a Drop of Water. My comment: Does anyone here believe in this loving God? It’s just I have an issue with why I should trust a God who will not only “kill” me for the “crime” of indifference, but also that He will treat me to an eternity of exquisite torture. Anyone want to save me? i get a kick out of how we as imperfect humans had absolutely no control over the situation that adam and eve caused in the garden of eden, however jehovahs witnesses teach that we have to perform all kinds of works to prove to god that we deserve some blessing of everlasting life,which by the way should be our right without performing lots of works to qualify for something that god had originally purposed for the human race to begin with.i didnt ask to be born into this mess did you? yet some how its our responsibility to correct matters for ourselves because of the issue of universal sovereignty and prove that we are on the side of god. since when does jehovah need us as dust to help him with the legal case of universal sovereignty? jesus died for our cause to save us as a result of the mess that took place in the garden of eden. of course you will hear that faith without works is dead, but that does not mean that all of your time is so totally consumed by works that you have no time for anything else.this is just another avenue that the organization uses to control you by using the proverbial guilt trip. My heart, and love for my brothers need to hear this. Brothers and sisters you’re coming out because the Christ is revealing truth slowly to those who hearts cry out in all love and honestly. He loves you so much and there is only one way out the door and that’s Avery difficult task you cannot do alone if you do not build up a one on relationship with Yeshua and father. Not only that, he is teaching us religion is not the right way! John 14:6 say He alone is the way the truth and the life and we go through no one else. What a marvelous thing to learn. Also from now on it’s the Holy Spirit that Christ said he would send after Pentecost that is your teacher now. Goodness so much to feel happy about. “Just need get out of false religions. ‘What have you to fear? But fear its self. Who can have one foot one way and the other the other way? John 4 says Come to me. Take my yoke. I’m lowly and kind. “Father in heaven through his son is extending his warm hand. ” No doubt religions look sincere. But they are sincerely wrong. There’s an old saying also that if one tells a lie loud enough and long enough people will believe it. Into his sheep pen. ‘You will only find true sheep in Yeshua pen as he does the choosing.”He will not put a snake near you. But as you keep searching Satan will lay many a trap. ‘So dont be amazed. Don’t worry you are not alone as lots here felt the same way you do as we were coming out of the Tower. l was a pioneer most of my days in the Tower and saw so much corruption even in the pacific Islands with the top nobs. ‘Men’s clubs” When my husband insistered that education was important he was thrown out of the men’s club. “l resigned as l was not going to give them ownership over my body. “My thoughts and want l want. l take my hat off to you all for daring to come here and speak up. Congratulations thats very brave. But please know Yeshua the head is your best friend right now and hes doing the bidding on your behalf to set you free and keep you free. Hi Bill. Nicely put. I couldn’t have put it better myself. Of course, I’m being ironic when I think of the sickos who write this Hell stuff. Organised religion has dined out on this need to make us all feel worthless so that we put our lives in the hands of “God’s earthly agents.” Temporal power and influence are the foundations for the empires built down through history. Mankind as a whole needs to wise up on this nonsense and free themselves from the mind-forged manacles that religion creates through fear and self-loathing. Two temples are gone, perhaps a third is swaying. Thank you Ruth for your encouraging share. Reminds me of my journey out of Babylon the great. Made my day. Bill, regarding your comment sept 27 well, your right on! And frank, I want my money back too! Thanks so much for your continued kindness Freethinker. as far as jah bringing the end, how many of you have heard “well the angels are watching and what would they think if jah just stepped in and destroyed wicked mankind?” they witnessed what satan pulled in the garden of eden! well, they also witnessed the destruction of sodom and gamorrah,the flood of noahs day, the almost destruction of ninevah,i didnt read any where that the rest of the angels in heaven left their dwelling places and became wicked, because jah decided to act. so i guess the point is lets get on with this thing called the great tribulation leading into the great war of god the almighty, then you will see all the authority that the watchtower has ripped from their hands over these poor cant think for themselves people, and you may also see all the buildings that watchtower owns in brooklyn ny destroyed, thats if they dont finish selling all of them for a reported one BILLION dollars.this doesnt count the the thousands of kingdom halls branch offices and assembly halls around the world. also doesnt include the stanley theater in new jersey usa. so the next time money gets a little tight,because you were not allowed to seek higher education after high school, while you have used your car in the field ministry for decades some of you, just feel free to ask the watchtower for a low interest loan and see what you get for an answer! but remember they ask all in the congregations to pay for the circut overseers health insurance and lease costs for the cars supplied to them from the organization. And the lie that they all tell themselves is that they are appointed, approved, sanctioned by Jesus. Whether they claim to be the Vicar of Christ, or the Faithful & Discreet Slave, they all suffer the same delusion. Hi Bill. Do you think Jesus would overturn the money-tables in the Brooklyn temple? In fact, would Jesus even stay for longer than have a cup of tea? Of course, we should expect an American religion to become a capitalist entity, this is what happens with any organised religion ultimately. We need to keep in mind too that the billion-dollar value is only for Brooklyn headquarter buildings. This does not speak of Kingdom Halls, branches, and assembly halls that publishers all thought they owned. How naive! Hi frank i did mention all the other holdings that the organization has,all kingdom halls are deeded to the watchtower,along with all other properties.what a great gig you pay for everything but another entity really owns it. kind of like the old traveling sales man selling magic potion in a bottle and its nothing more than useless liquid, how can so many some what intelligent people fall for the same rank and file organized religious money hungry ploy. things really havent changed much since rutherford riding around in his two sixteen cylinder cadillacs and beth sarim. while others were living out of their cars and selling their homes. WOW! Talk about the preaching business ! And the lie that they all tell themselves is that they are appointed, approved, sanctioned by Jesus. Whether they claim to have the Vicar of Christ, or the Faithful & Discreet Slave, they all suffer the same delusion. Hi guys. There is a strong need to be cynical these days. Humanity is farmed by the canny and wealthy among us. Why should religion be any different. If it is true there are ATMs in assembly halls (the ones that haven’t been sold off) then I imagine Jesus would need divine help to overturn those. One consolation, I suppose, is that, unlike the Catholic Church, the WTBTS doesn’t have a huge stockpile of art treasures to sell off when the child abuse issue hits the fan. The WT spin doctors will no doubt have their own writing department to spin their gold, though. Tell me, why did Paul say that at 2 Thess 2:11? The scripture suggests that God lies to fool his people. Is that right? It’s not implying that God lies, rather he gives them up to their own desires or as the NWT puts it “lets and operation of error go to them”. Many treat God as some sort of unlimited forgiveness facility who never calls on them to justify their actions, but in the end they start acting as if they are hard done by God, when they are in fact willfully opposing His mercy and ignoring His existence with specious scientific reasoning. So you’re saying that homosexuality (Romans 1) is an equivalent here then, Chris? It is interesting that Paul at Romans 1:24-32 implies that homosexuality is a choice. Perhaps he is referring to the act of homosexuality, but also implies that being gay is a “lust of the heart.” Does this mean that being gay is a choice according to Paul? I can understand first-century orgies being a case in point; not the sexual attraction, which seems to have a genetical basis. What has this to do with the original point? Paul also states that “God committed mankind to futility on the basis of hope” (Romans 8) Is Paul here stating that Jehovah is also the God of human futility, confusion, and frustration? Could we ever state that the Bible is a document of unambiguous lucidity? If so, why are there over a 1000 ‘Christian’ persuasions? With the emphasis being on verses 18-22 which often results in the conduct highlighted in 23-32. So to re-iterate the point, as verse 28 says ” Just as they did not approve of holding God in accurate knowledge God gave them up to a disapproved mental state” of which homosexual conduct is just part of what Paul mentioned here. So my point was, with reference to the WTS and others, they claim to have God’s approval but because they do not submit to God’s standards he gives them up to their own desires and the outcome of that conduct is their own, not God’s. I wasn’t really highlighting the homosexual aspect of this verse as it is an extension of what Paul was talking about. He was primarily writing about those who ignore God’s existence and commandments then pretend to be surprised at the outcome, whether that be rejection by God or reaping the consequences of their conduct. So with respect to the WTS, Catholic Church, and others(or any of us for that matter) they can’t deceive themselves that they don’t know what God requires of them. By claiming to be appointed and approved by God yet pretending to be above his adverse judgement as if it applies to others is untenable. So in this sense he gives them up to their own desires or let’s them operate in error because although they claim to have subjected themselves to His will they actually oppose him. How long have you been a JW please? I ask this because despite the WTS more obscure teachings, which you no doubt accepted at some point, I find their general understanding of the plight of man from Eden to now to be scriptural. I saying that, in the past I struggled with similar feelings of anger and despair toward God for the astonishing level of cruelty and suffering He seems to tolerate, particularly of the innocent. I have never once accused him of causing it and, like you, I have often asked why it has taken so long to resolve this issue of sovereignty. The point I came to was that I cannot escape his existence, regardless of whether some view him as cruel or not. As the Creator I find him to be essentially good and even though we may not completely understand his rationale, he does things ultimately for our good. At some quantum physical level time is just a construct that we live in and, as God does not exist in time his perspective and solutions takes on different meanings that we can’t comprehend. Several years ago when I was working on a project I had to deal with a software engineer for part of the electrical installation I was commissioning. He tried to explain what he was trying to achieve but my eyes just glazed over because I couldn’t comprehend it, and he could see that he was getting nowhere. In the end I just had to let him do his job and it all worked out in the end. At the risk of sounding corny I believe that ultimately that’s how things will play out with God. If he is indeed the Creator then he must know an infinite amount more than us so I am willing to trust that he will resolve humanities plight once and for all. The real issue for us is will we trust him to do his job or will we kick over the traces and try and tell him how things should be done. Ultimately people like Richard Dawkins etc are doing just that. Deep down they know he must exist, but they think all their sophistry and human reasoning will make God go away. They perhaps need to get practical jobs where they make things work and then they may at last comprehend the simple truth that the things made must have a maker. Frank arent you in the wrong Environment here? Shouldnt you be on a thread with others who delight in offending the ones who hate God? You always try to oppose what others say when they quote scriptures. If you say something bad about our Father why do you aplogise after? because you do not mean it. Who trust Fathers decisions. One’s who are searching for the real truth after the W/Towers lies. You call us religiously over senstive people? Thanks for that! Guess when we love Father with all our heart and mind, and love our neighbours then we are in your mind sick people. Your true colours always surface Frank. “If your against our Father then your on the Devils side. Go away Frank leave the sheep to discuss in love. Not in a bad spirit like you have and use and illness for. JJ why do you allow this to continue if you really love your God? “Shouldnt you be protecting the little sheep who come 1st on the front page? Why do they have to read this rot year in year out. Wonder how many are stumbled? ” Freedom of speech? Not if ones are trying to plants seeds of discontent in people minds. Ruth/Patricia- JJ doesn’t need your help on how to run his own website. Ruth dont you understand what type of thread your on? if this is how you really feel thats fine, maybe you should go back to the kingdom hall and continue on like christian soldiers, this really is not the place to critique anothers feelings with regard to the damage that has been done to them by the watchtower,nothing personal Ruth but if you cant take the heat then get out of the kitchen.